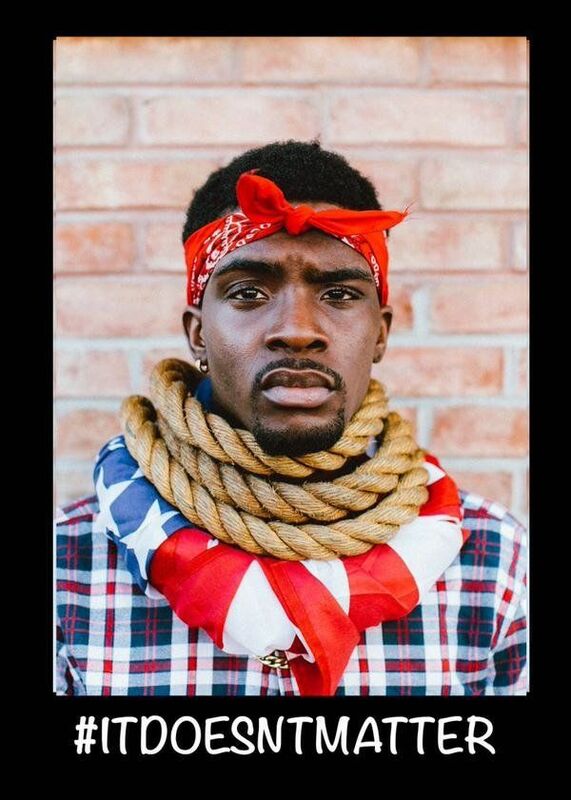 A new campaign has emerged to help share the truth about racism in America. On Sept. 7, Moise Morancy from Brooklyn, New York tweeted the hashtag ItDoesntMatter along with four photos of himself. The tweet included no other words, but spoke volumes. 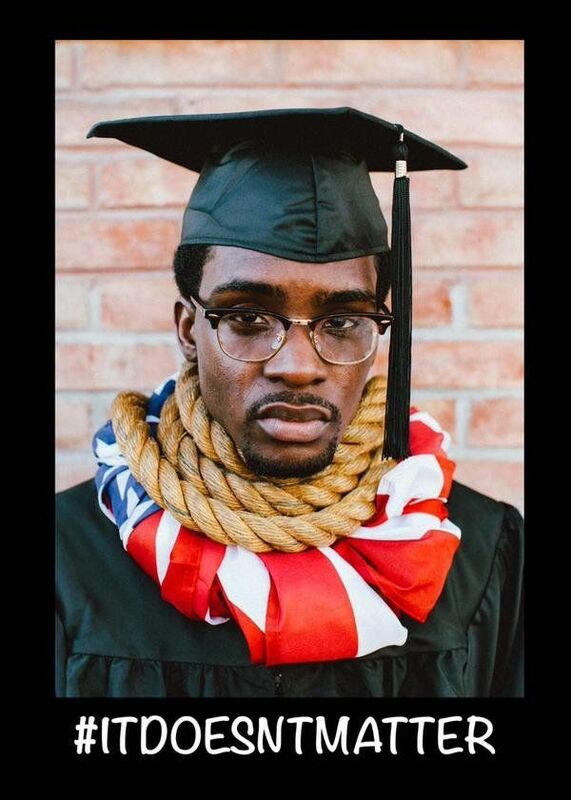 In the first two photos, Morancy posed as what he described as a “college graduate” and a “gang member.” In the third photo he donned a suit, and in the last one he portrayed “a prisoner.” There’s one glaring similarity in all the photos, the noose tied around Morancy’s neck which rests on top of an American flag. He also has tears in his eyes in some of the photos. 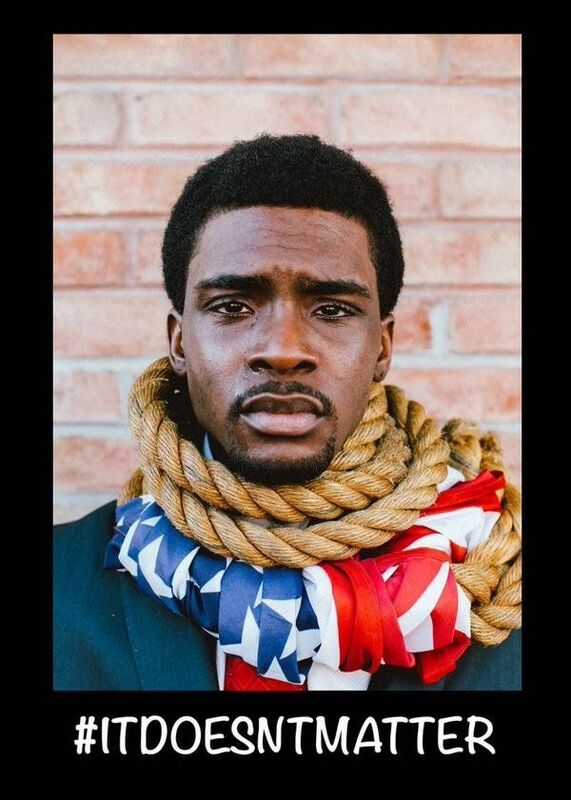 The 20-year-old actor and activist explained that the inspiration for the photos came to him in a dream where he saw images of himself hanging from an American flag as each of the people depicted in his campaign. 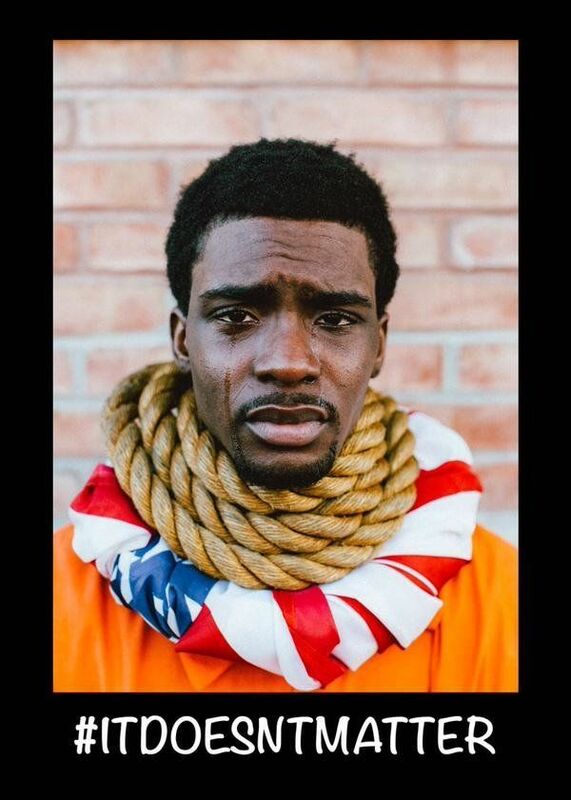 He said he felt that the experience left him with a “powerful message” to share.